Is the Lakeland Terrier right for you? Find your perfect match now! The Lakeland Terrier always seems like she's walking on sunshine. They're super happy, very funny dogs. So if you're going to live with a Lakeland Terrier, you're going to need a sense of humor. 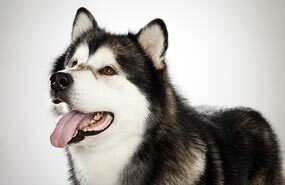 These dogs have been described as impish, mischievous, and clownish. Expect surprises; you won't be disappointed. 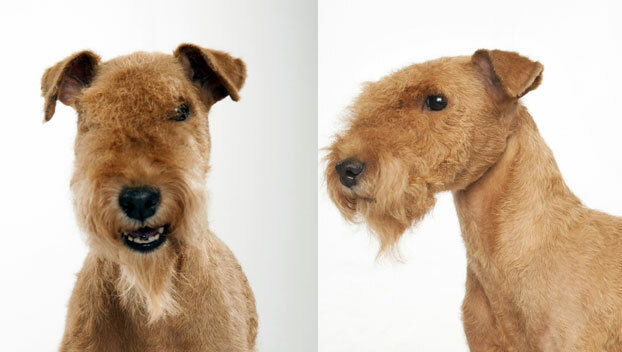 While a somewhat obscure breed, Lakeland Terriers are transatlantic winners, baby: a Lakey, as their fans call them, won at both Westminster in the United States and at Crufts in the United Kingdom. Originally from England, this small-sized and medium-energy breed can grow to about 17 pounds and lives an average of 12-15 years. 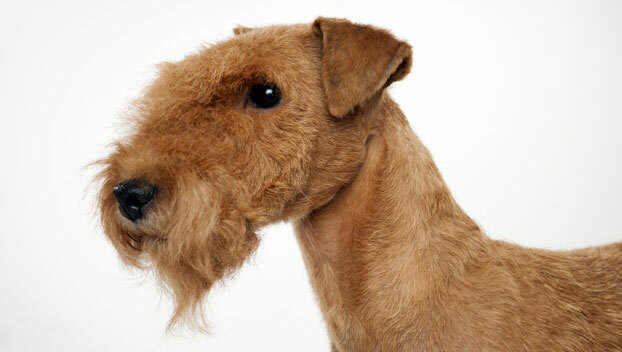 The breed is recognized by the American Kennel Club and classified as a member of the Terrier group. WHAT IS A LAKELAND TERRIER'S PERSONALITY LIKE? These funny, sturdy terriers are always on the go. They pack a lot of curiosity and confidence into those small frames. When they're not clowning around, they can be focused and intense—particularly if a small furry creature has dared enter their domain. Like many terriers, the Lakeland wants to be the only dog in your heart and in your home. They never quite got the “cats are friends, not food” memo, either. But Lakeland Terriers adore their chosen people, especially “their” kids. WHAT IS A LAKELAND TERRIER BEHAVIOR LIKE? There are a few natural tendencies Lakey-lovers have made their peace with. First: this dog is a digger. Don't bring a Lakeland Terrier home unless you appreciate the canine landscaping arts. Second: this breed was born free and will never stop trying to recreate the Great Escape under your backyard fence. Lakeland Terriers, needless to say, are a very active breed. Plan for lots of walks, runs, romps, and games. Once they've worn themselves out, though, Lakeys are happy to calmly cuddle with you. HOW EASY IS IT TO TRAIN A LAKELAND TERRIER? Lakeland Terriers are both smart and stubborn, with an independent spirit and a sensitive soul. Be gentle, patient, and consistent while training your furry friend. 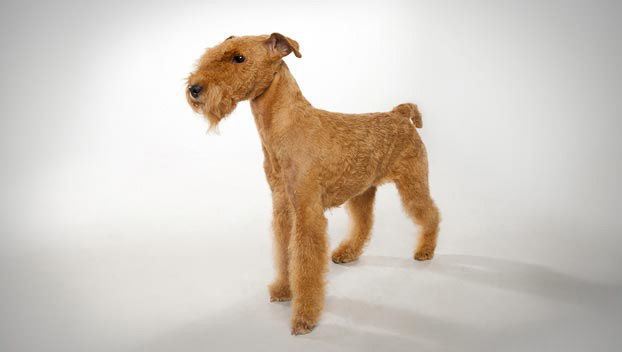 HOW MUCH DO LAKELAND TERRIERS SHED AND WHAT ARE THEIR GROOMING NEEDS? 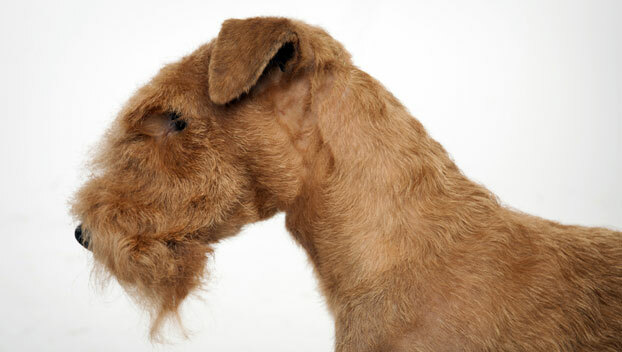 A Lakeland Terrier's wiry, dense double coat doesn't shed much, but does shed seasonally. Your Lakey will need professional clipping or hand stripping about twice a year. Otherwise, occasional baths and weekly brushings should keep this terrier in top shape. WHAT HEALTH PROBLEMS DO LAKELAND TERRIER HAVE? Lakeland Terriers are a hearty, robust breed. Some are prone to eye problems or blood-clotting ailments. ARE LAKELAND TERRIERS GOOD FOR PEOPLE WITH ALLERGIES? The American Kennel Club doesn't list Lakeland Terriers among its breeds recommended for allergy sufferers. You can reduce your furry friend's impact on your allergies with frequent baths and brushings to reduce loose hairs and allergy-aggravating proteins in your pet's dander. Use a damp cloth to wipe off your dog after playing outside. Smaller dogs have less surface area, so they produce comparatively less dander than larger breeds — definitely something to keep in mind with a dog as small as a Lakeland Terrier! Remember that no breed is 100% hypoallergenic, and any breed can aggravate allergies. WHAT IS A LAKELAND TERRIER'S BEST DAY? Honestly, a Lakeland Terrier's best day is a bit of a whirlwind: chasing, exploring, hunting, running, digging, and barking to her heart's content. SHOULD I ADOPT A LAKELAND TERRIER? This dog can live just about anywhere, so long as her people are active and appreciative of a canine comedienne. They don't much mind the heat or cold. If you enjoy an energetic daily romp followed by a doggy snuggle, the Lakeland Terrier could be just the pup for you. 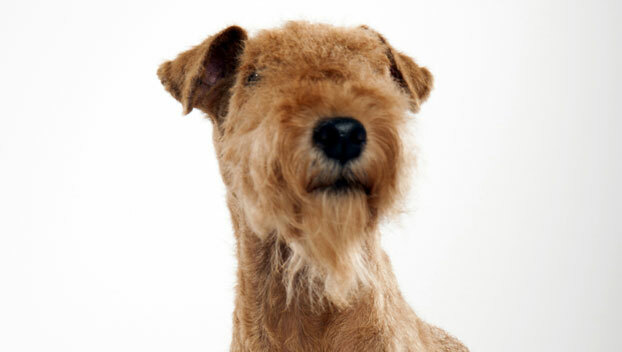 Have you decided that a Lakeland Terrier is the perfect dog for you? Why not be your new best friend's hero and adopt a rescue! Be sure to check out our article on what to expect when you're adopting a dog or cat.